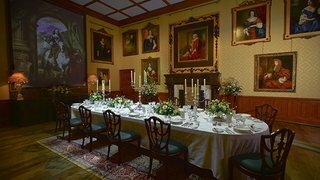 If you loved the lush settings and lavish costumes of Downton Abbey, here is a rare opportunity to experience the series in a unique, immersive way. 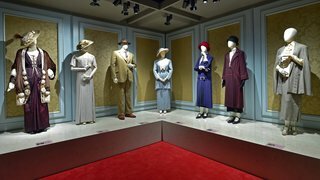 Join Rhode Island PBS on Thursday, August 16 for a bus trip to New York City to visit Downton Abbey: The Exhibition. 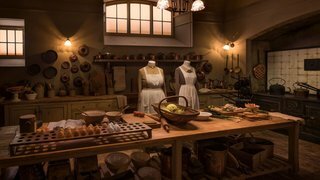 Staged on three floors, the Downton Abbey: The Exhibition transports you to post-Edwardian England, where the characters and the iconic mansion come to life in displays and holographic videos. 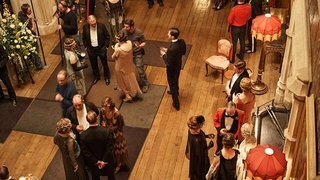 From World War I to the Roaring Twenties, learn more about British society, culture, customs, and fashion across Downton Abbey’s six seasons. 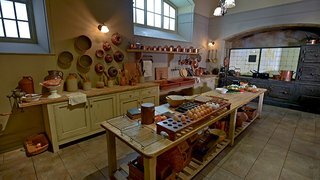 From Mrs. Patmore’s hectic kitchen and servants’ dining area, to the family’s glamorous dining room and Lady Mary’s bedroom, you will walk through recreations of some of the show’s most recognizable settings. 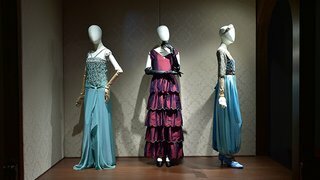 The exhibit also features more than 50 of the show’s official costumes worn by favorite actors, including Michelle Dockery, Hugh Bonneville, and Dame Maggie Smith. The exhibition space is ideally located in the heart of Mid-Town Manhattan, allowing easy access to Columbus Circle, Central Park, Museum Mile, and countless restaurants. You may elect to shop, have lunch, sightsee, or visit a museum before our 4:30 p.m. departure. We leave WSBE Rhode Island PBS studios (50 Park Lane, Providence, RI 02907) at 6:30 a.m. by climate-comfortable motor coach.You must arrive at the studio by 6:00 a.m. for check-in. We will arrive at the exhibit location by 11 a.m. Upon your arrival in New York, you may choose to tour the exhibit immediately or explore the city. You must be at the pick-up location by 4:00 p.m. for check-in. We will arrive back at WSBE Rhode Island PBS studios by 9 p.m. Please note: The itinerary is subject to change. 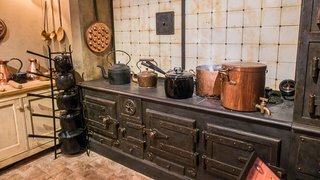 This tour involves activities such as walking for a period of time, climbing steps, navigating uneven terrain and getting on and off transportation. 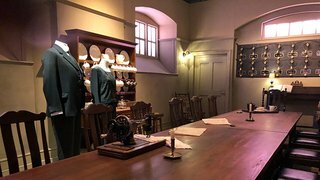 The Downton Abbey: The Exhibition is fully accessible for the mobility impaired. It is the responsibility of the traveler to review the itinerary and determine if it is suitable for his/her physical condition. There is no fee and no obligation. By joining, you receive periodic news about trips and upcoming vacation destinations, as well as updates about existing tours. You are invited to join the Rhode Island PBS Travel Club! Would you like to share your travel photos and stories with us for the periodic eNewsletter? Please feel free to send them to us by email! Join our Travel Club Facebook Group. Share your pictures, your experiences and your recommendations. Also, use the page to stay in the loop with all of your fellow travelers.